netFORUM communication preferences can range from more granular, content specific groups such a Membership, Fundraising, and Event Marketing to broader mailing lists such as newsletters and information sheets. The more granular content preferences are found on the communication preferences window. Preferences that are saved here will only apply to communications that are relevant to those specific content areas. Mailing list preferences are found under the “Correspondence” tab. An alternative to staff management of these preferences is the baseline self-service options provided by netFORUM eWeb. 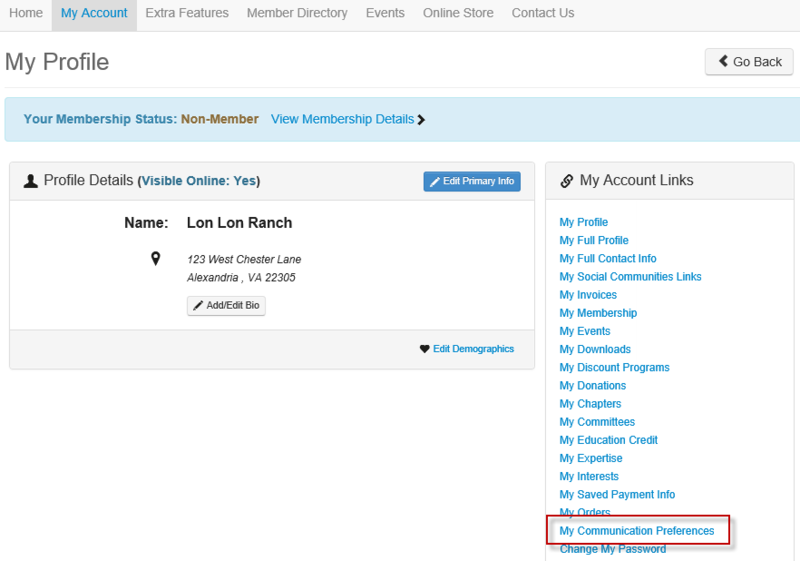 Once your customer is signed in to their profile, they only need to click the “My Communications Preferences” link found on the right navigation. 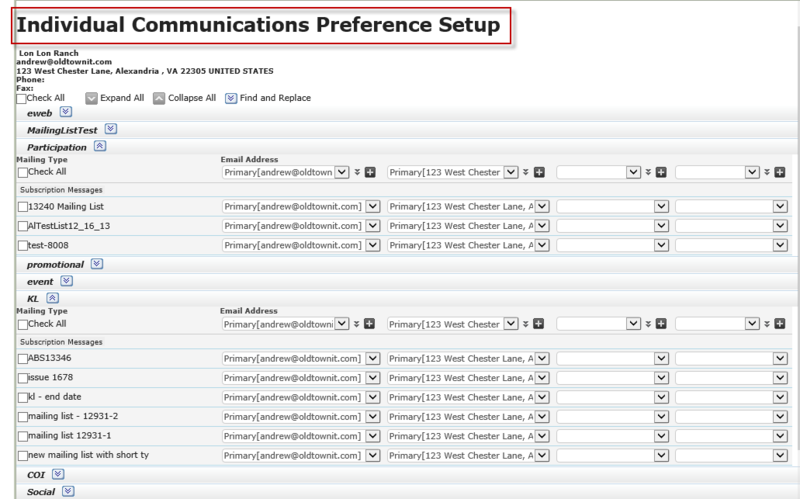 Once the My Communication Preferences form displays, you will see the same content specific preferences that were available in netFORUM iWeb. In this eWeb self-service model, however, both the content type preferences and the mailing list preferences are visible on the same window. 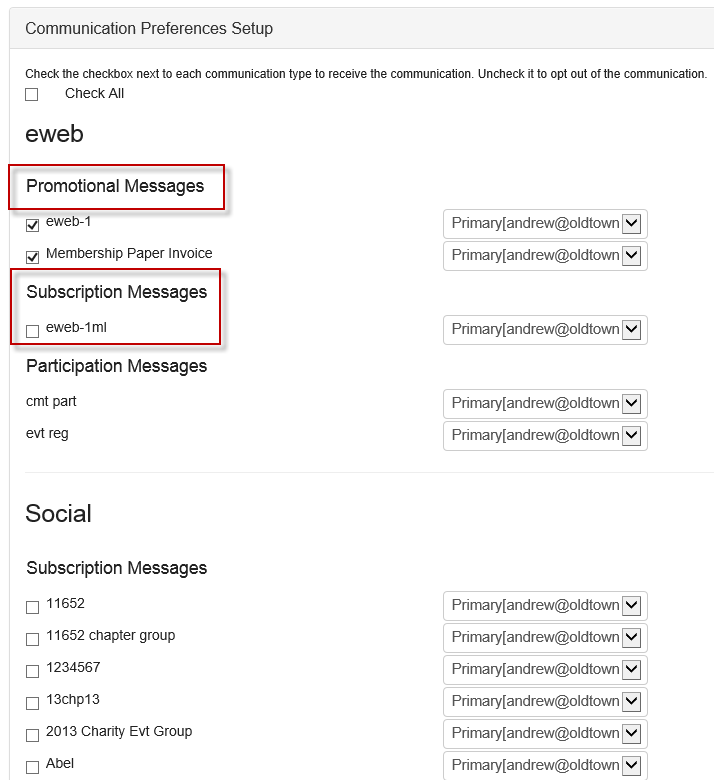 The content specific messages are shown under the “Promotional Messages” heading and the mailing list preferences are shown under the “Subscription Messages” heading. It is important to note that mailing lists will only appear in the eWeb preference manager if the mailing list is set to show online. Using the available baseline netFORUM communication preferences gives members quite a few options which can be managed both by association staff and members themselves!